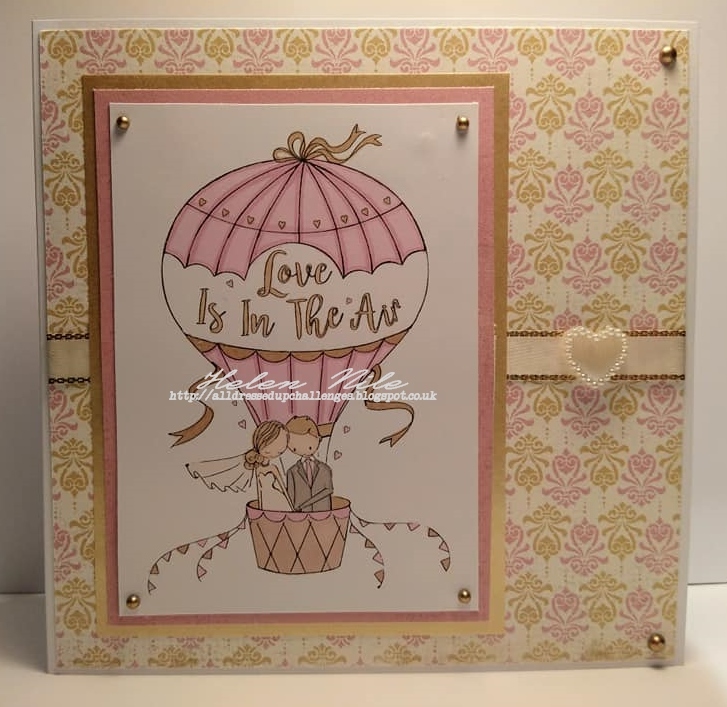 There's a new challenge today on the Cardz 4 Guyz Challenge Blog and this week our theme is 'whatever the weather'. 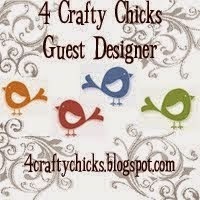 Have a look here on the challenge blog for more information and lots of inspiration. 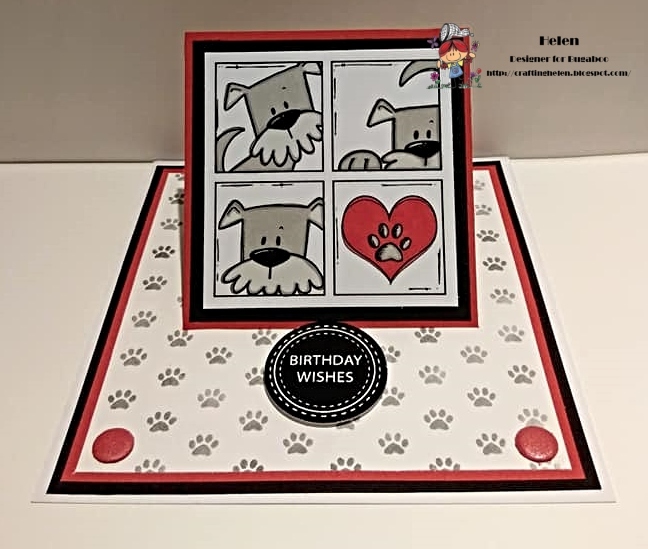 For my card I've used one of the toppers from the April edition of Making Cards magazine layered with black and white paper. 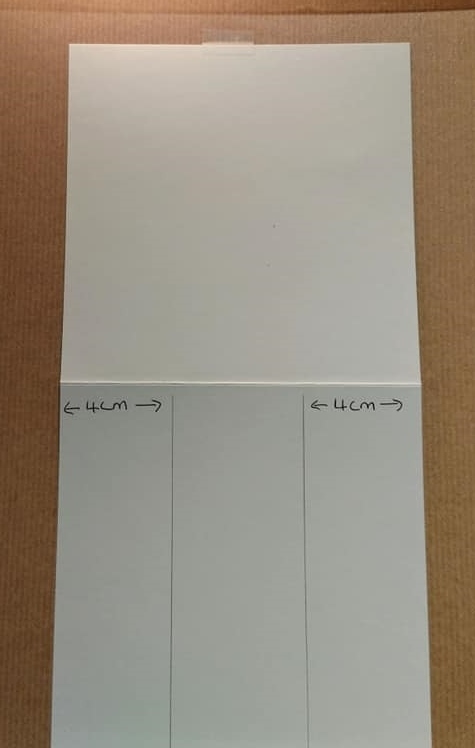 The backing paper is from the same magazine. 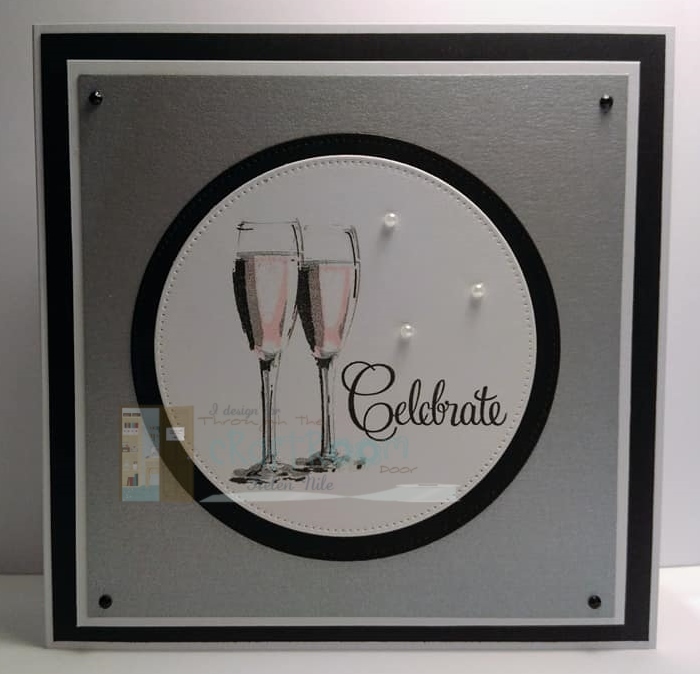 I've used a stamped sentiment from from Stampin' Up and some black gems to finish the card. 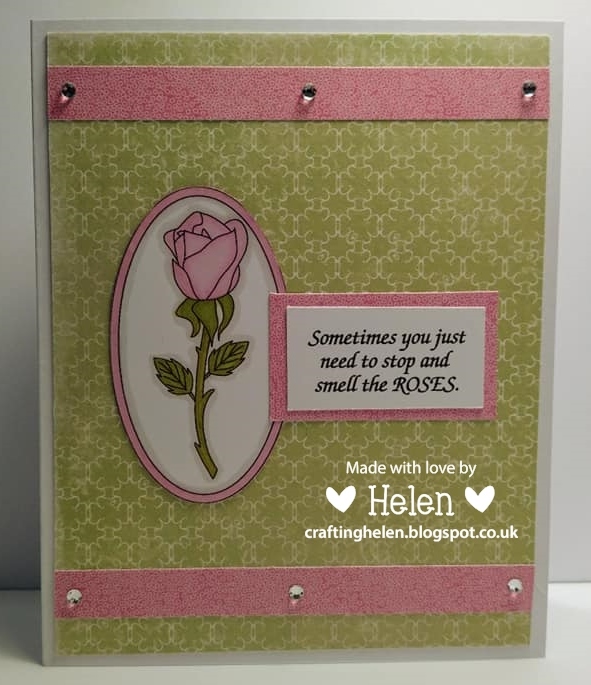 Today I'm sharing a card I've made with one of this month's new release images from All Dressed Up Stamps. 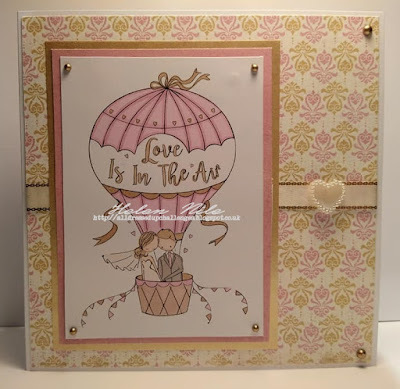 This is the beautiful 'Wedding Balloon' digi stamp which you can find here in the Etsy shop. 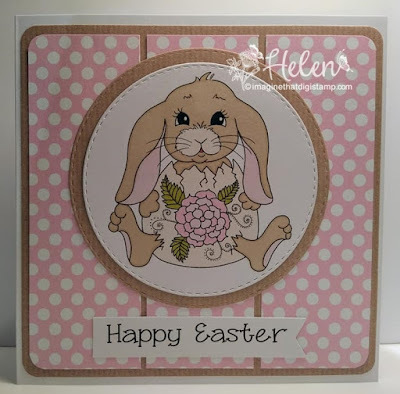 Make sure you head over to the Facebook Group here to see the rest of the new release inspiration. 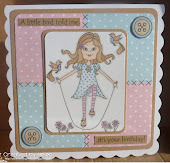 There's a new challenge today on the Cute'n'Crafty Challenge Blog and, as always, it's an anything goes theme. 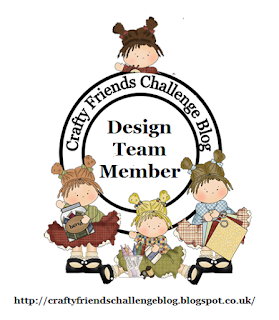 Have a look here on the challenge blog for all the details and inspiration from the DT. 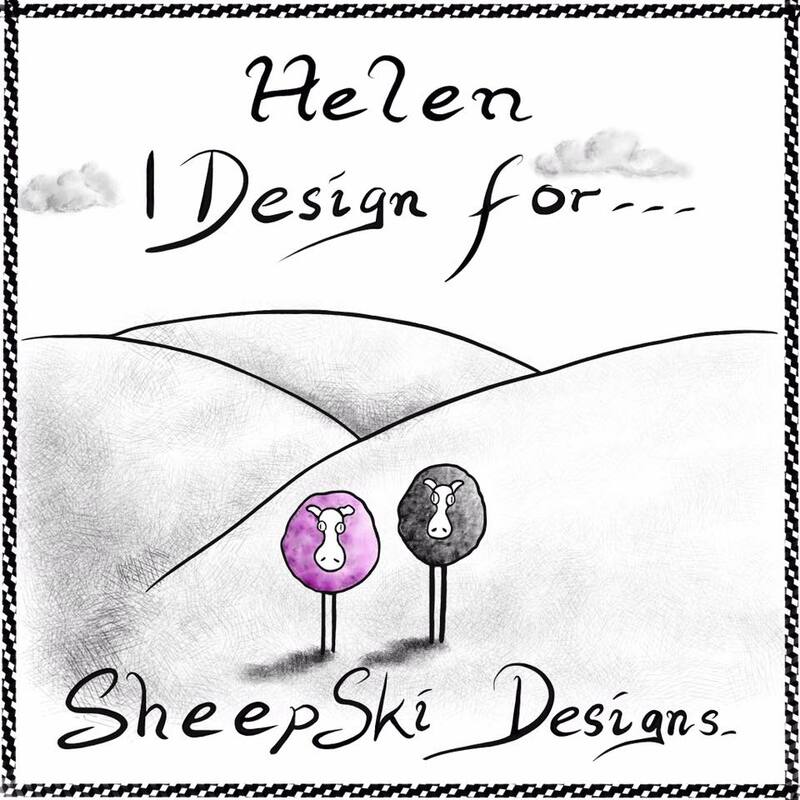 We've got a new challenge today in the SheepSki Designs Facebook Group - it's anything goes with the optional theme of celebrations. 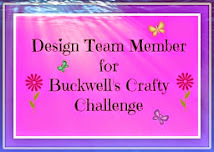 For all the details about the challenge, have a look at the Facebook Group here. 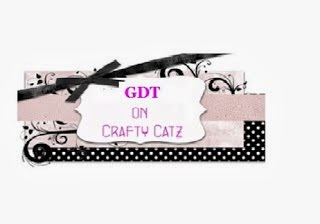 Once you're in the group, you'll find an album with all the DT inspiration and another album where you can link up your challenge entries. 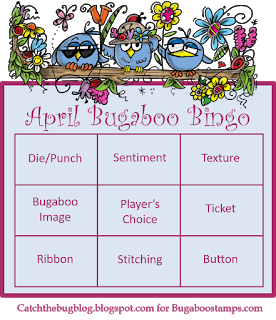 New Catch the Bug Saturday Challenge - Bingo! 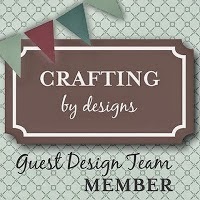 You can find all the details plus lots of inspiration here on the challenge blog. 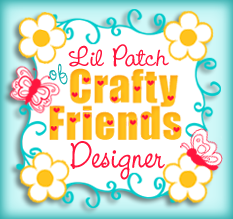 I've used one of the diagonal lines - die/punch, player's choice (patterned paper), button. 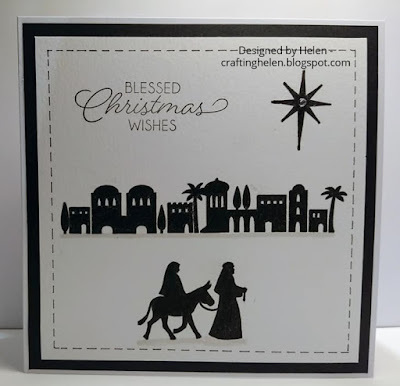 There's a new challenge today on Crafty Hazelnut's Christmas Challenge - it's anything Christmas goes with the optional twist to include a house or other building. 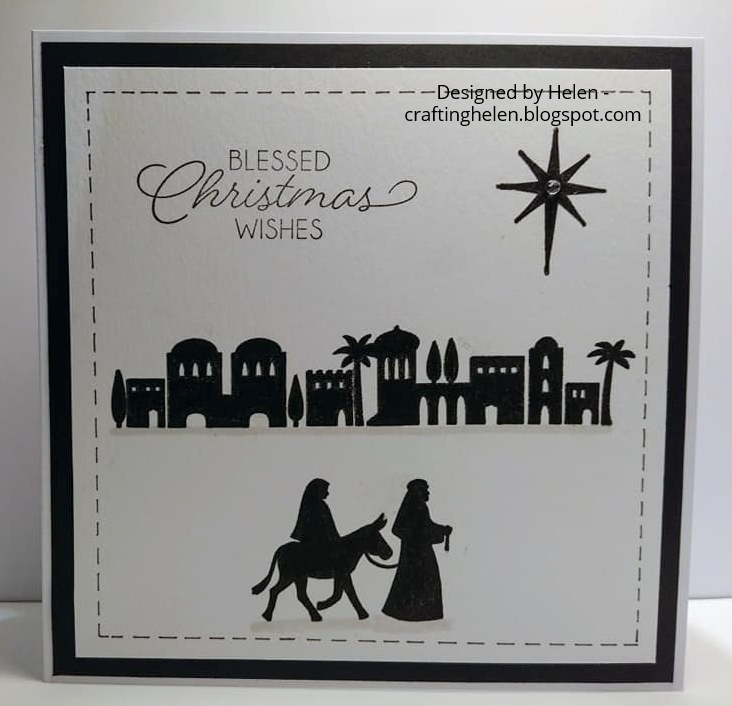 To make my card I've used a Stampin' Up stamp set called 'Night in Bethlehem' stamped using black Versafine ink. I layered the stamped image with black paper and added some faux stitching and a gem to the star. There's a new challenge today on the My Time to Craft Challenge and this time our theme is 'spring flowers'. 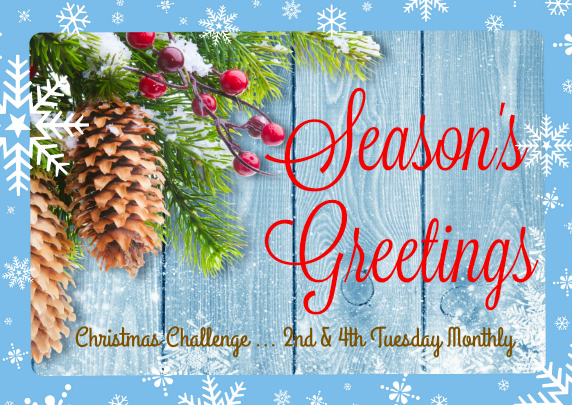 Have a look here on the challenge blog for all the details and lots of inspiration. We've reached the mid-way point in Challenge 4 at the Creative Playground so it's time for some more inspiration from the Design Team. 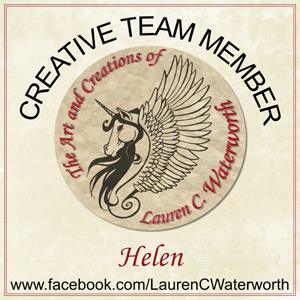 It's anything goes using whatever products that you want to - there are more details here in the challenge post. 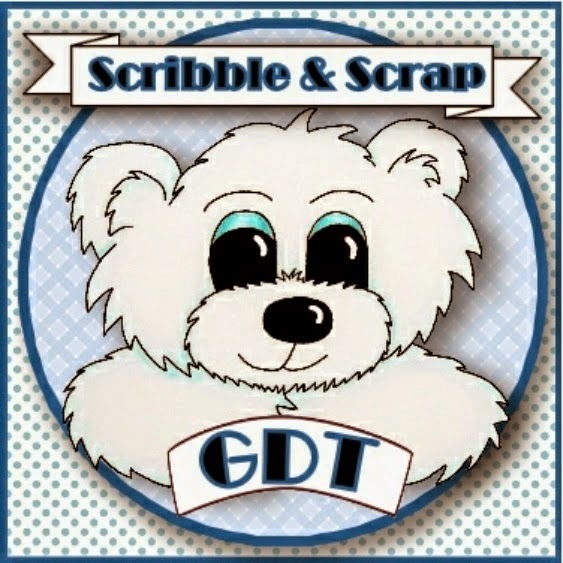 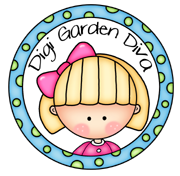 You could win a $12 voucher, or one of the Top 3 awards and GD spots which will earn you 2 digi sets of your choice, including an award and GD spot for someone using Imagine That Digistamp.... so lots of reasons to come link up!! 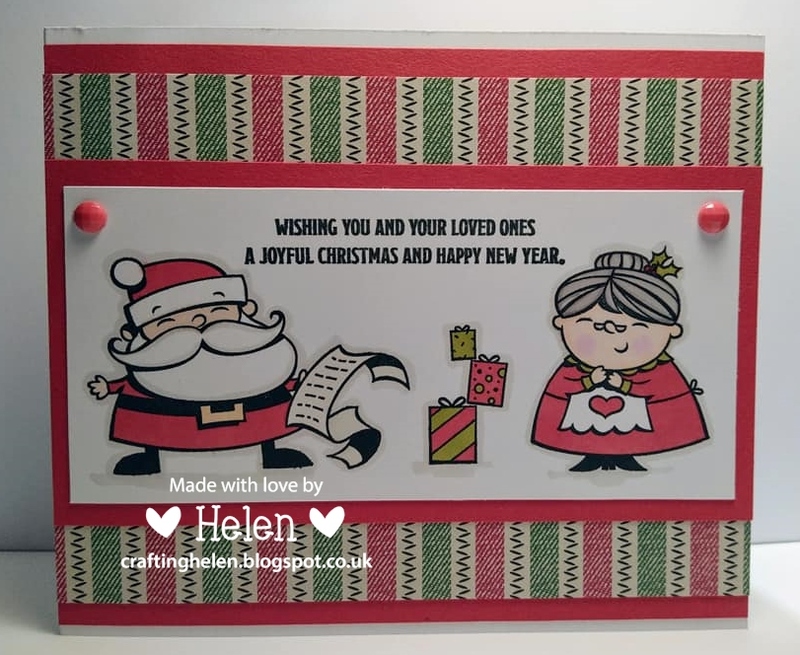 There's a new challenge today on the Cute and Crafty Christmas Challenge and, as always, it's an anything Christmas goes theme. 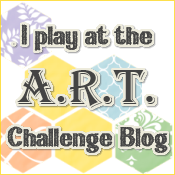 You can find all the details here on the challenge blog. 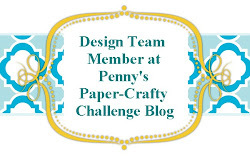 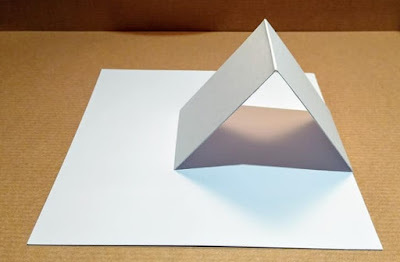 There's a new challenge today on Penny's Paper Crafty Challenge Blog and, as always, it's an anything goes challenge. 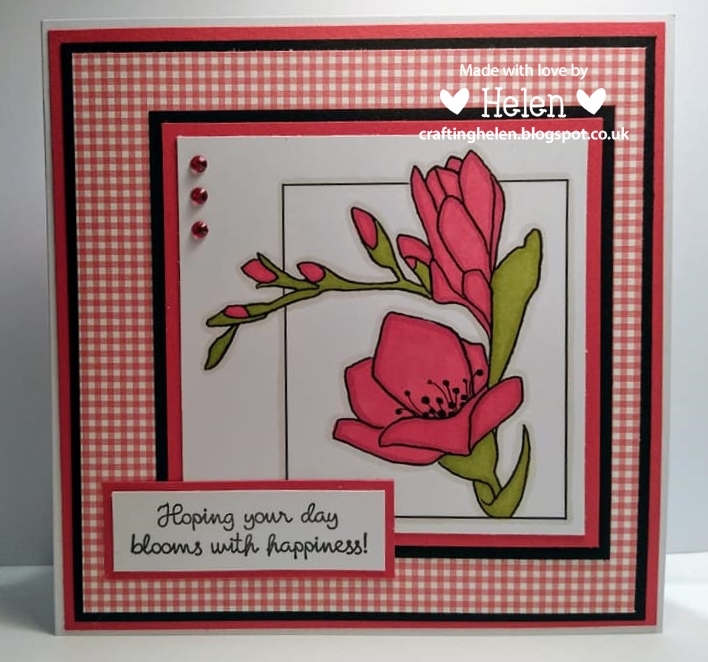 You can find all the details and lots of inspiration here on the challenge blog. 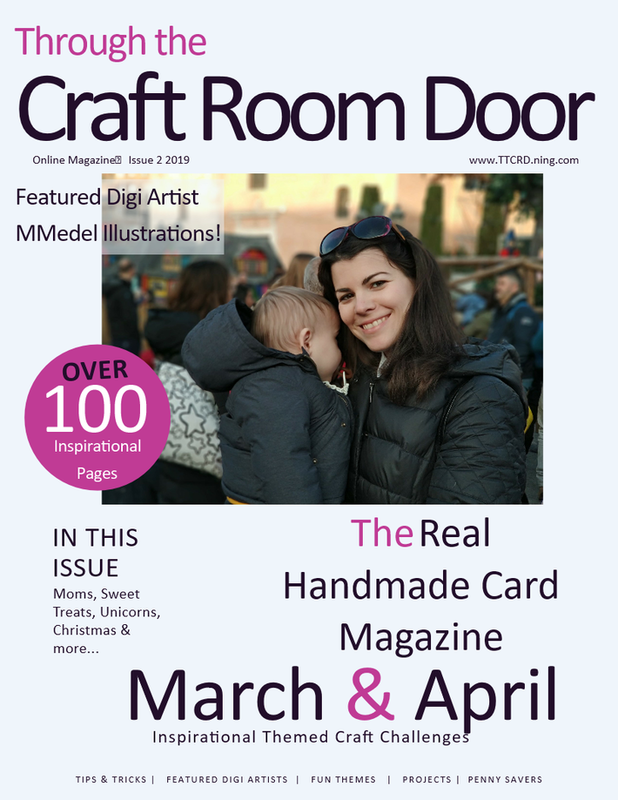 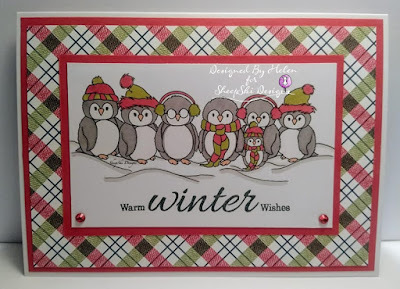 There's a new challenge today on the Through the Craft Room Door Challenge and, as always, it's an anything goes challenge. 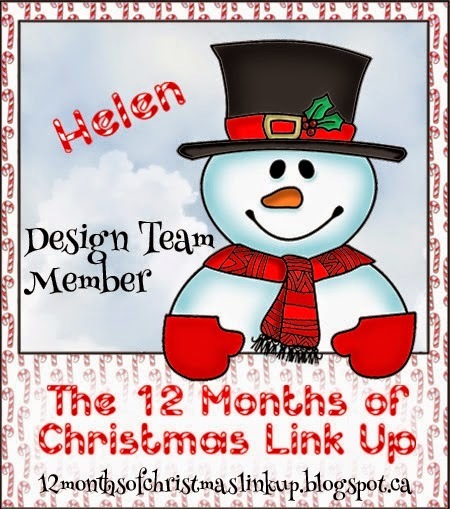 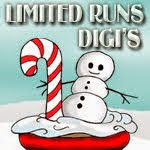 It's time for a reminder about our current challenge on the 12 Months of Christmas Link Up Challenge. If you want the chance to win this month's featured paper pack, use at least one FAIRY (whether Christmas or Winter) showcased prominently on your card. 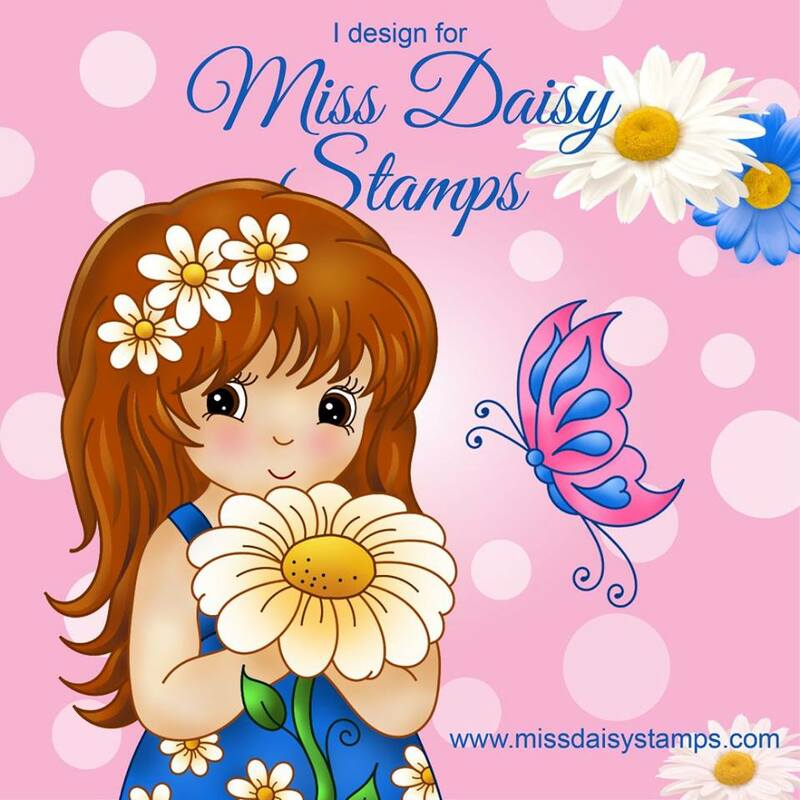 Keep in mind though, that you don't need to follow the twist to link up your cards and earn a free paper each month or for a chance to win an $8 gift certificate to the A Day for Daisies store. 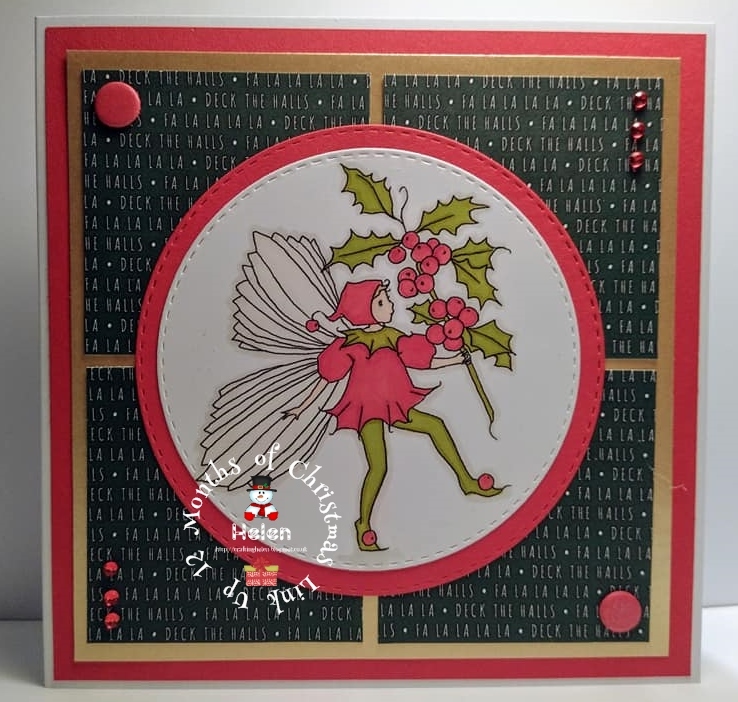 You simply need to follow the twist if you'd like a chance to win this month's featured digital paper pack, Frolicking Fairies: Winter Edition. 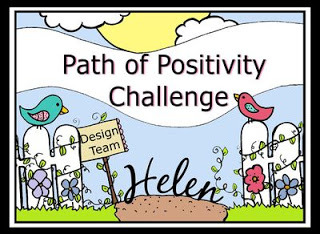 It's time for a reminder about the current challenge on the Path of Positivity Challenge. 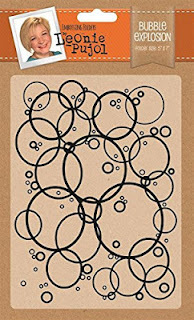 This challenge, our optional twist is a focus on HAPPINESS. 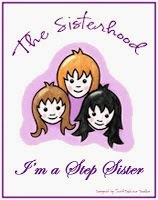 If you would like to challenge yourself, create a project designed to spread the message of happiness. 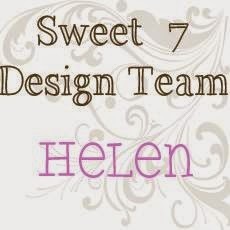 our guest sponsor for this month, for a person chosen in a random draw based on all qualifying entrants. 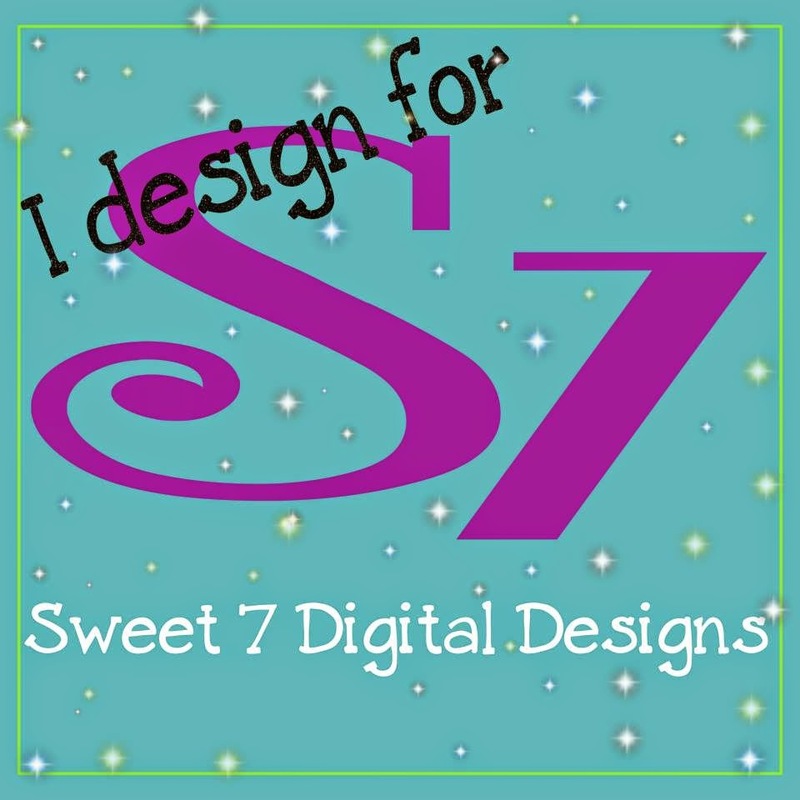 ONE image (value of $5 or less) from Scribbles Designs, for the post or project that the team deems most inspiring of the bunch based on all qualifying entrants. 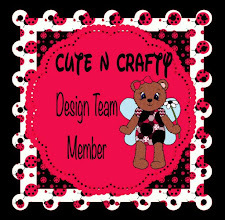 One digital image from Creative Bug Digital SnapShots for each person chosen as a DT Delight. 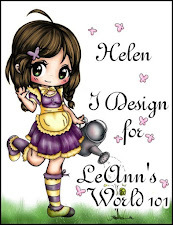 And so back to my card. 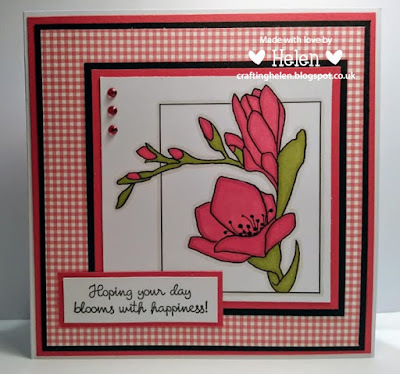 I chose a floral image because flowers and nature represent happiness and the word 'hello' because it's a cheerful, happy greeting you can say to anyone. 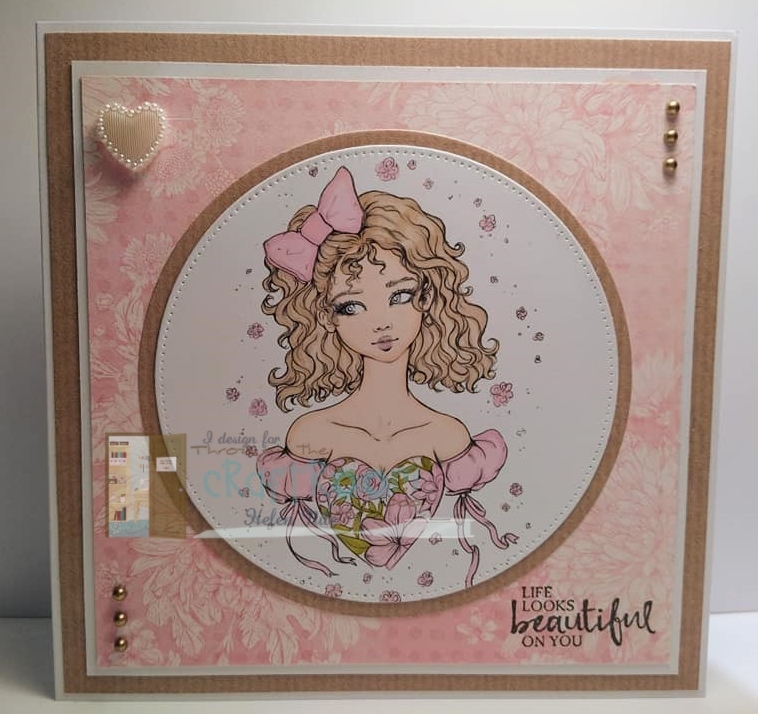 We've got a new challenge today on the Scribbles Designs Challenge Blog and this time we're looking for your creations in pastel shades. 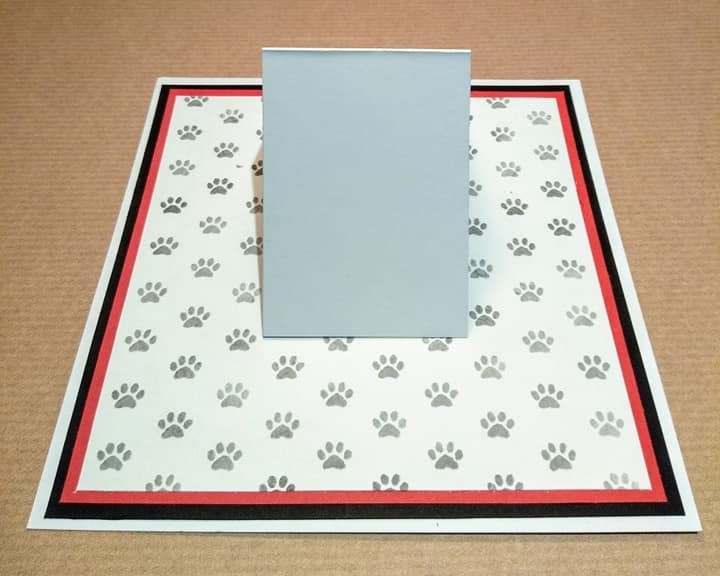 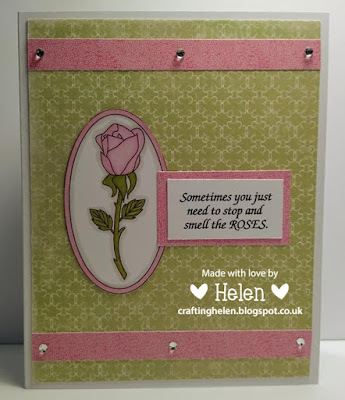 Have a look here on the challenge blog for more details and lots of inspiration. 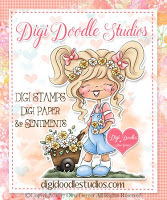 Standout Scribbler (chosen by Design Team) receives $5 worth of digital images. 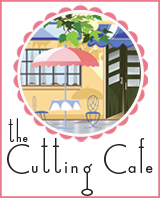 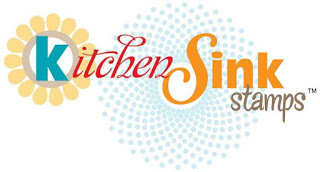 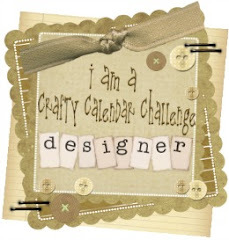 To qualify for this category, participant must use a Scribblers Designs image on their project. 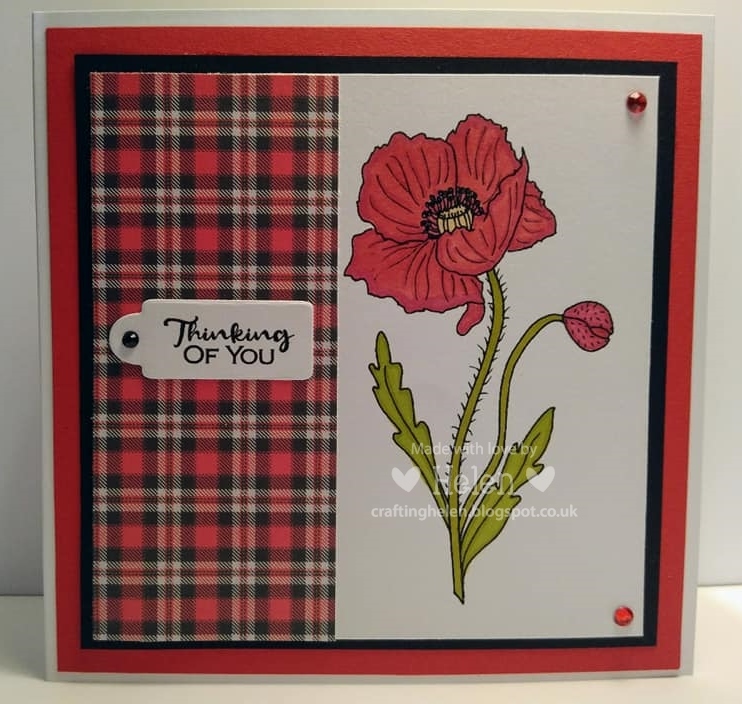 I've kept this card very simple to showcase this lovely image. 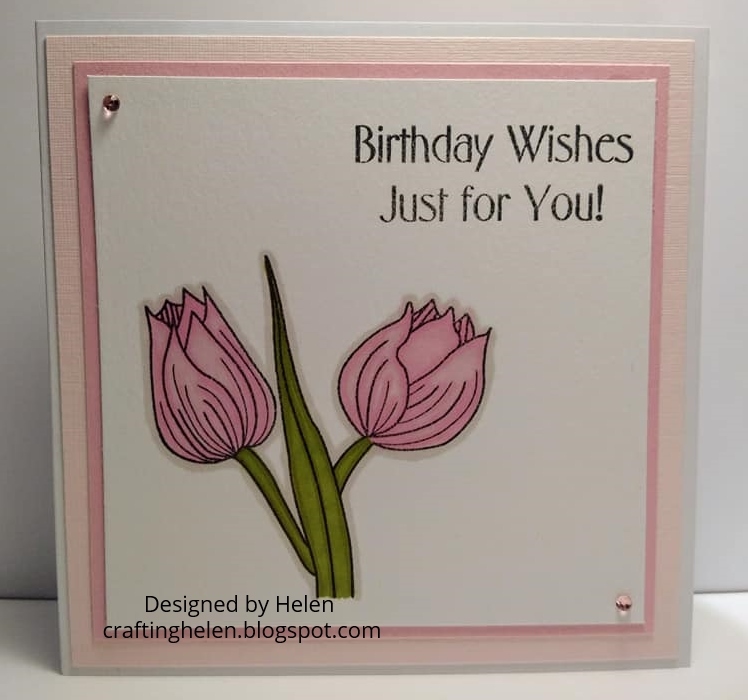 I haven't used any patterned paper or solid papers, just used a little bit of colour to add some pastel shades. 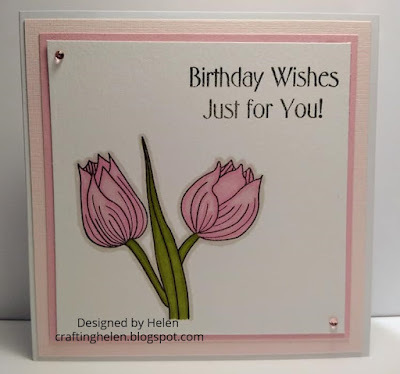 There's a new challenge today on Sparkles Challenge Blog and this month our theme is flowers or religious. 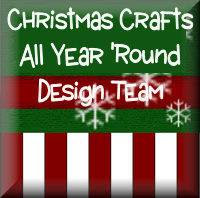 It's time for our reminder post on the Christmas Crafts All Year Round - our theme this month is family and friends. Have a look here on the challenge blog for more details and lots of inspiration. 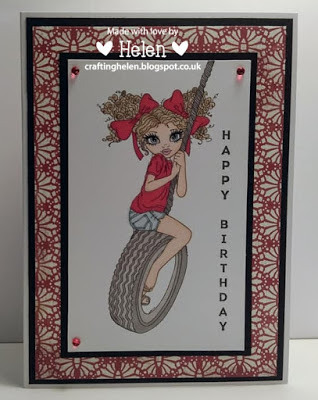 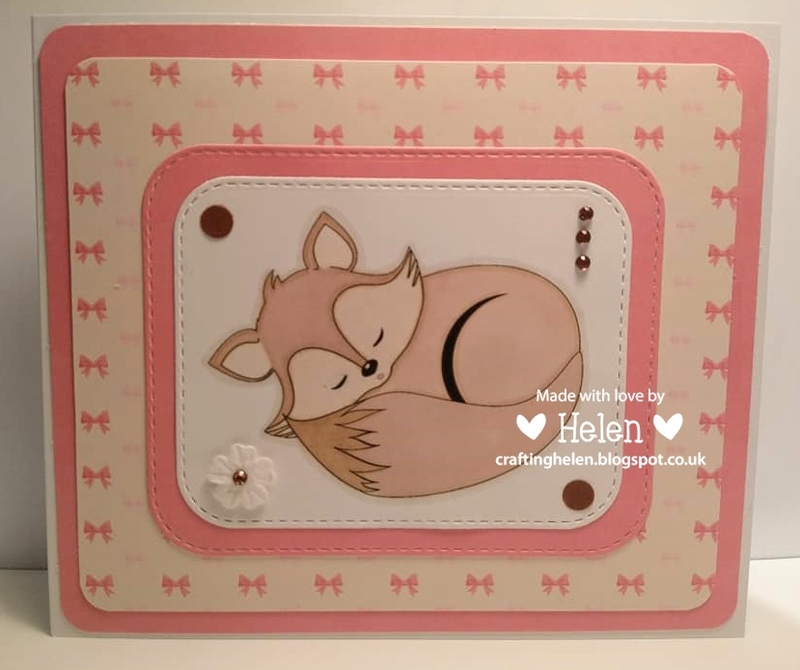 Today I'm sharing the second of my DT cards using the new releases. For this card I used the main digi stamp image and the sentiment which comes with it. 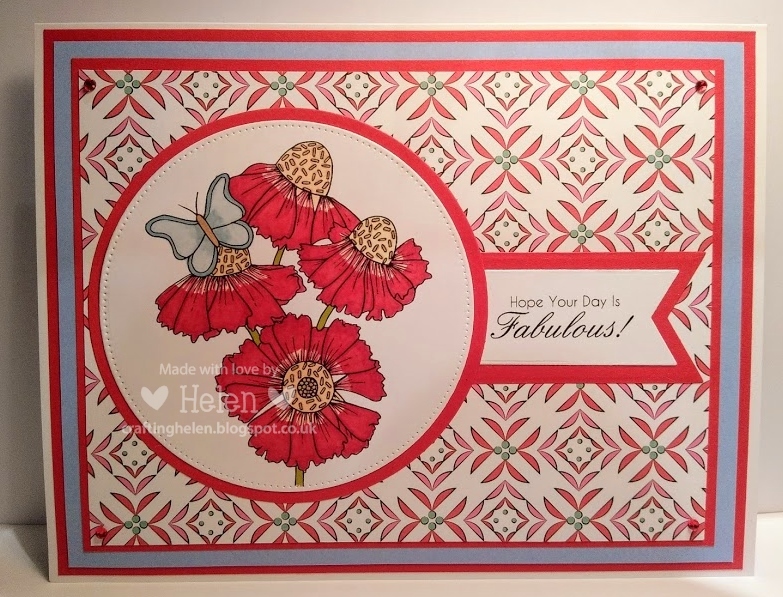 I coloured the image with Promarkers. 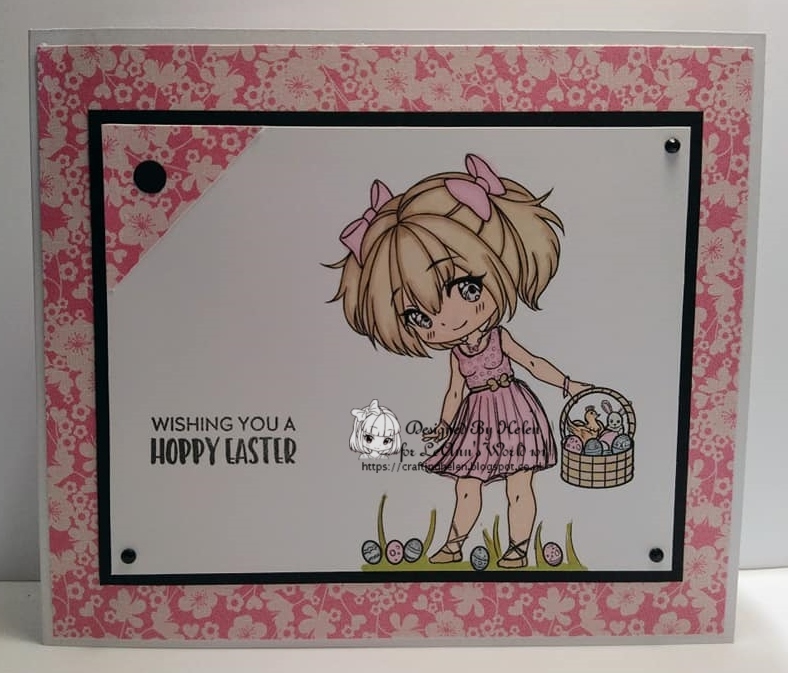 I also used one of the desgins from the digital paper pack using a piece of ribbon to separate it from the whtie card. 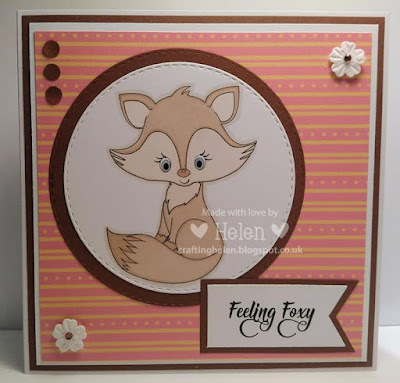 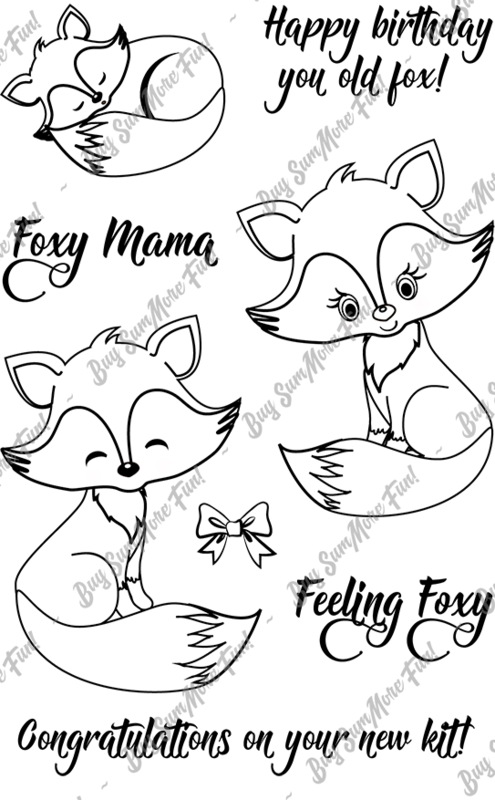 Today I'm sharing two GDT cards I've made for Sum More Fun using the new Foxy Lady stamp set. 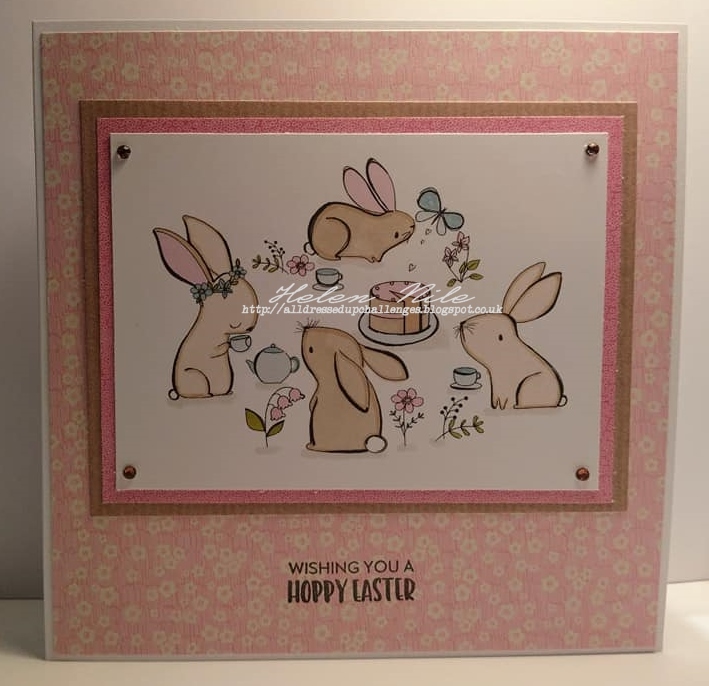 And the set is available here on the website. There's also a range of coordinating papers and I've used these on both of my cards. 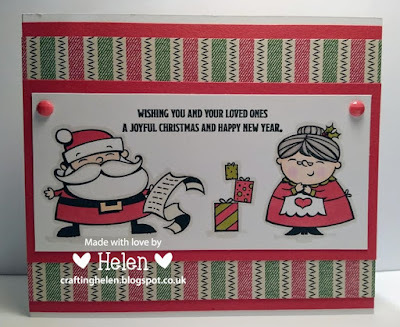 There's a new challenge today on Craftyhazelnut's Christmas Challenge and this time we're looking for a snowman or woman or family! 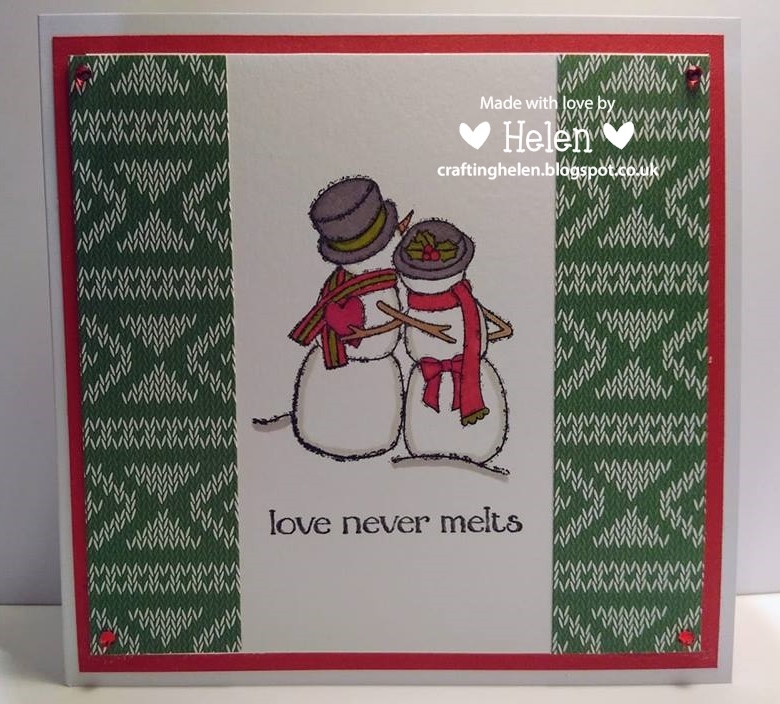 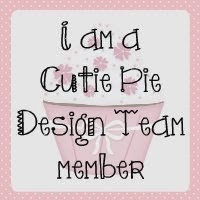 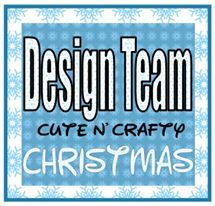 Today I'm sharing the first of my DT cards using the new releases. For this card I used the main digi stamp image and the sentiment which comes with it. 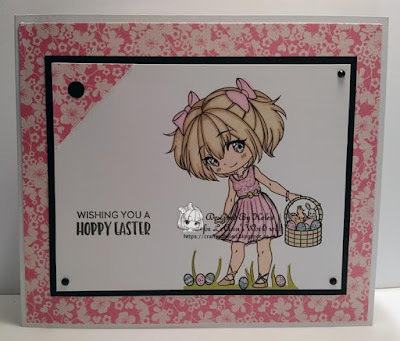 I coloured the image with Promarkers. I used one of the Repeat Floral digital paper designs as my background, layering with blue and red to pick out the colours in the paper. 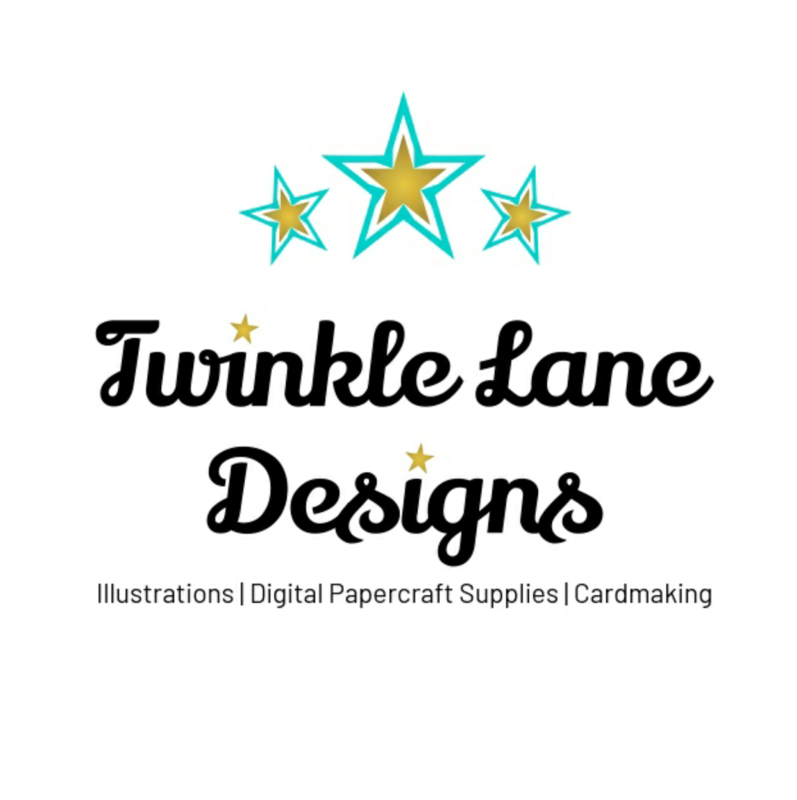 You can find lots more inspiration here on the Twinkle Lane Designs blog. 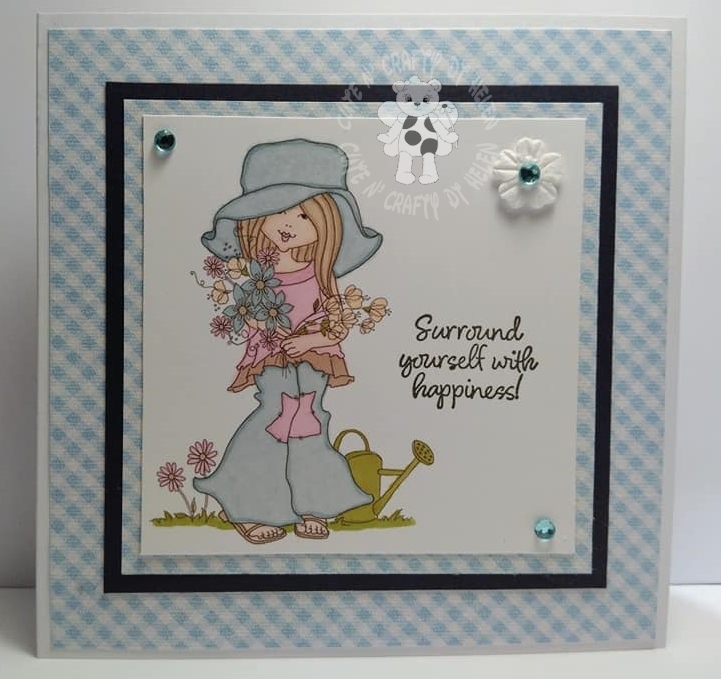 There's a new challenge today on Jo's Scrap Shack Challenge Blog and, as always, our theme is anything goes. We've got a new challenge today on the Colour Crazy Challenge Blog and, as always, it's an anything goes challenge as long as your creation has been coloured by hand. 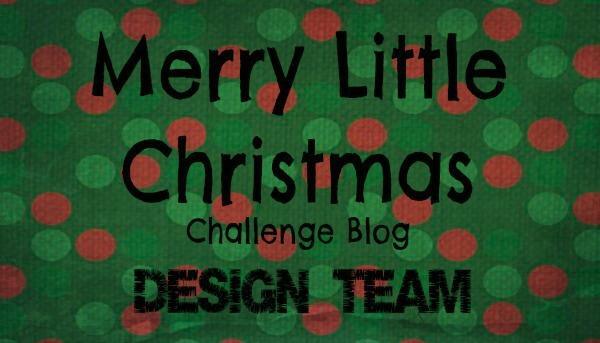 For all the details and to see the inspiration from the rest of the Design Team, have a look here on the challenge blog. 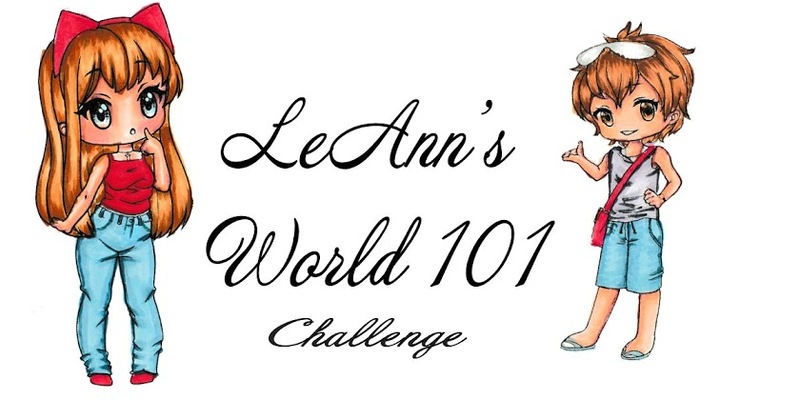 Today I'm sharing my April inspiration card for LeAnn's World 101. 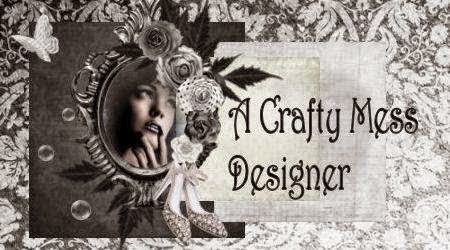 Have a look here on the inspiration blog to see my post. 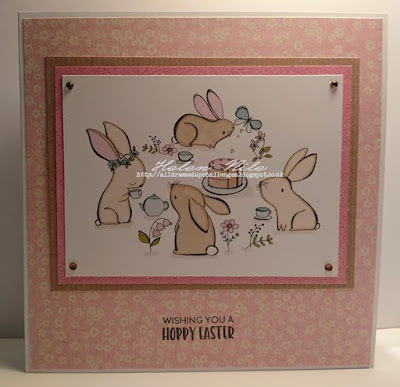 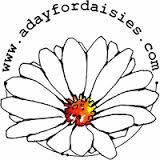 I used the very cute 'Daisy's First Easter' which you can find here in the Etsy shop. 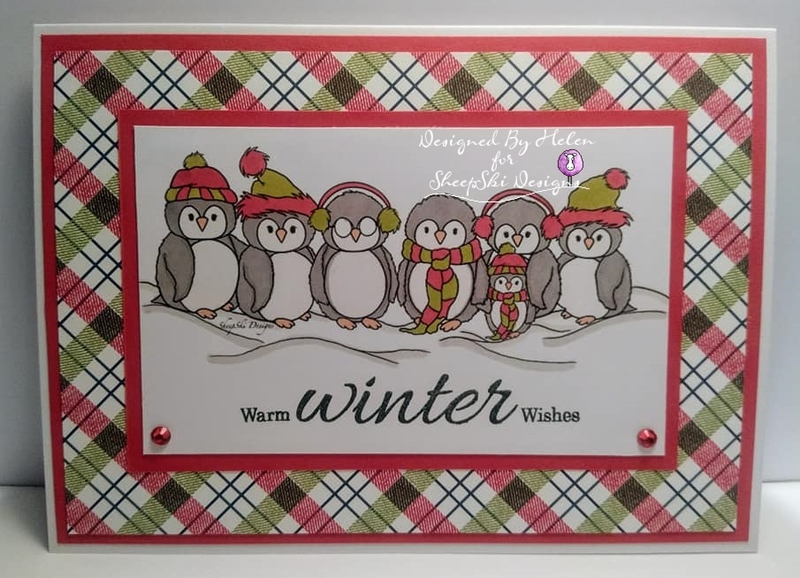 I coloured the image with Promarkers and used a stamped sentiment and some paper from Imaginesce. New Cardz 4 Guyz Challenge - Fun and Games! We've got a new challenge today on the Cardz 4 Guyz Challenge Blog and this time our theme is 'fun and games ' - so any game or sport. 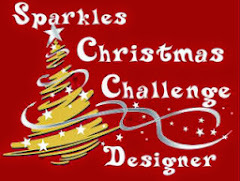 For all the details about the challenge, have a look here on the challenge blog. I was lucky enough to receive one of their stamp sets to work with for the challenge and the set I received was 'Champagne Celebration' which you can find here on their website. 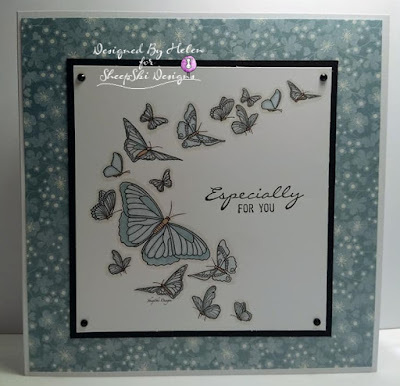 The stamp set involves four layers of stamping - not as easy as it looks! This was my fourth attempt and it's still not quite right!! 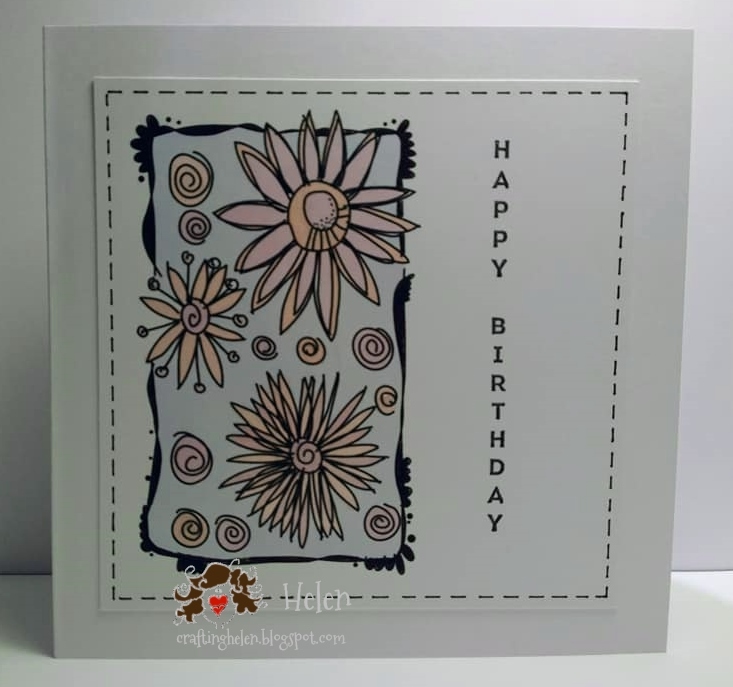 I used grey ink, pink ink and then black, stamping off the third layer. 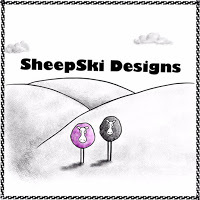 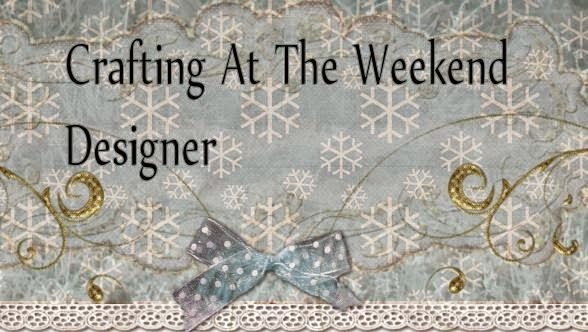 Today I'm joining in with the SheepSki Designs Blog Challenge. 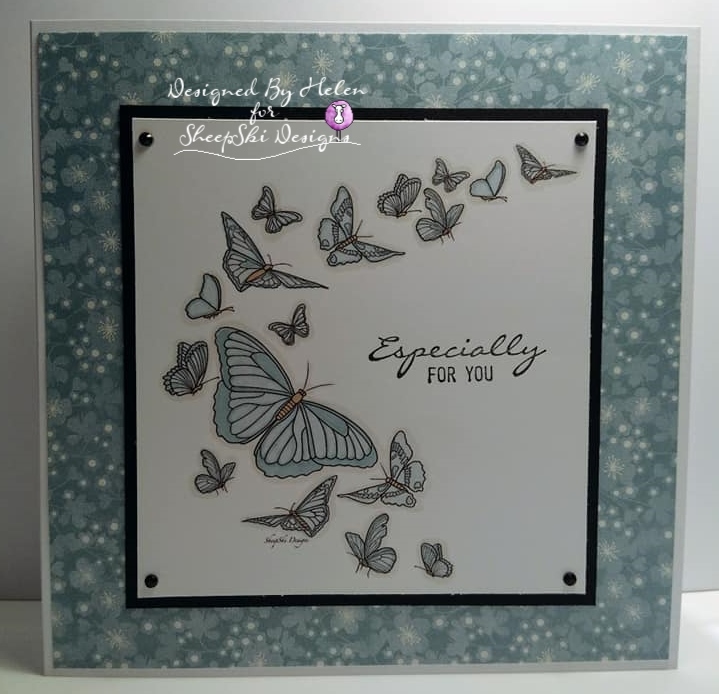 Our theme is 'wings' and you can find all the details and lots of inspiration here on the challenge blog. 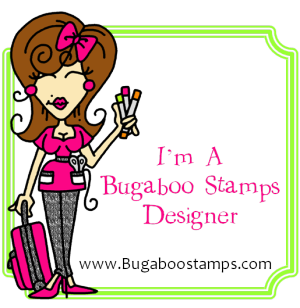 There's a new challenge today in the All Dressed Up Stamps Facebook Group and this month our theme is 'animal madness'. 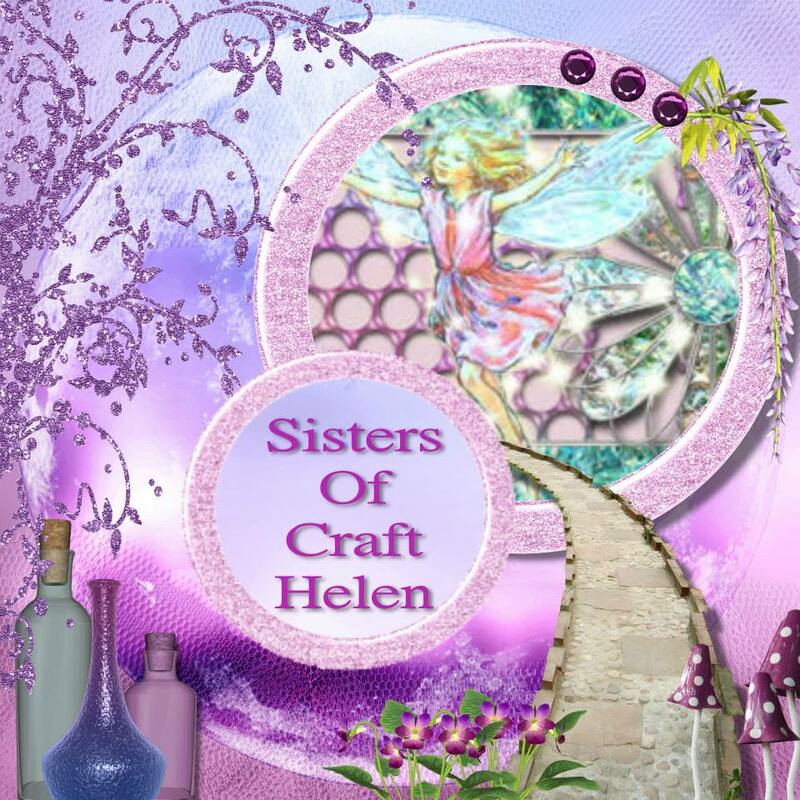 To join in with the challenge you will need to be a member of the Facebook Group which you can find here. 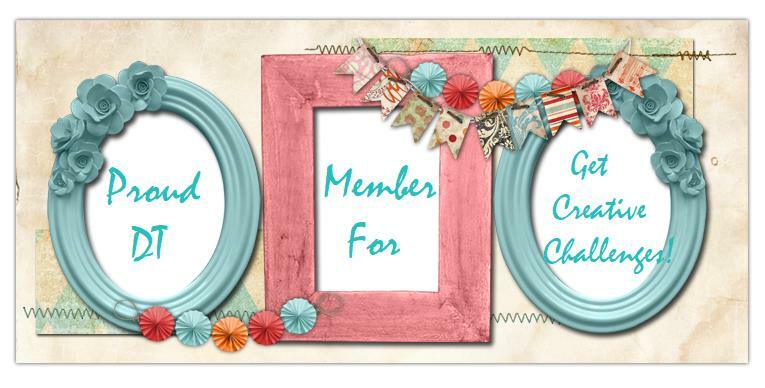 Once you're part of the group, find the photo album for this month's challenge and add your card. 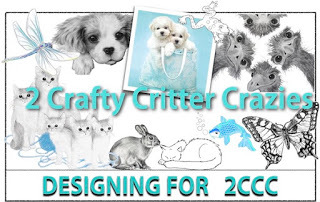 There's a new challenge today on the 2 Crafty Critter Crazies Challenge and, as always, it's anything goes as long as your design features a critter. 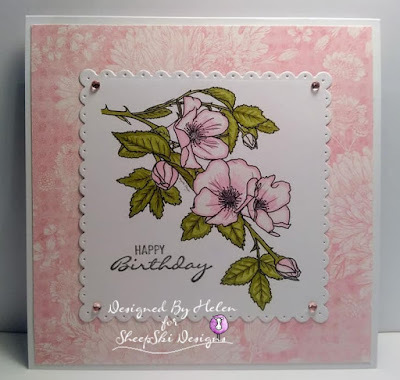 New Jo's Scrap Shack Challenge Fun Day Friday Challenge! 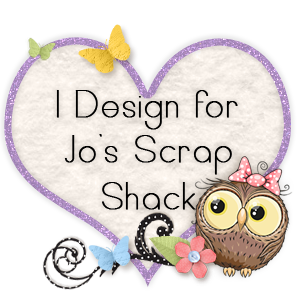 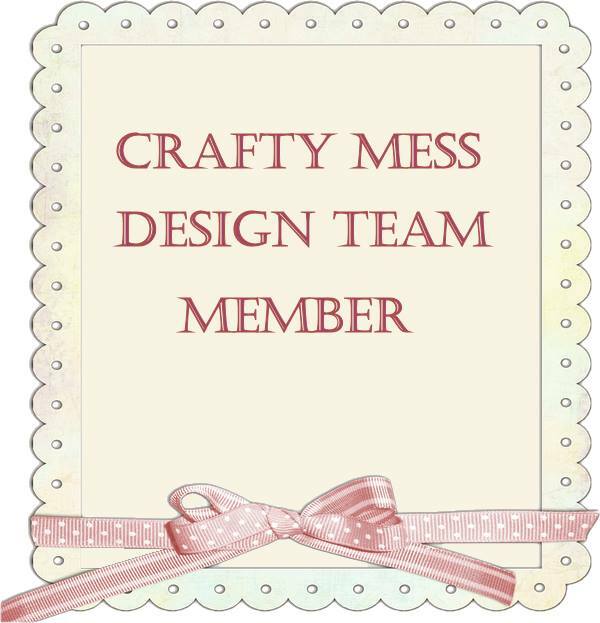 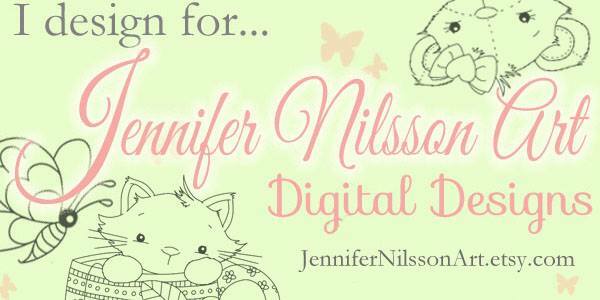 I am excited to share the news that I'm now part of the DT for Jo's Scrap Shack! 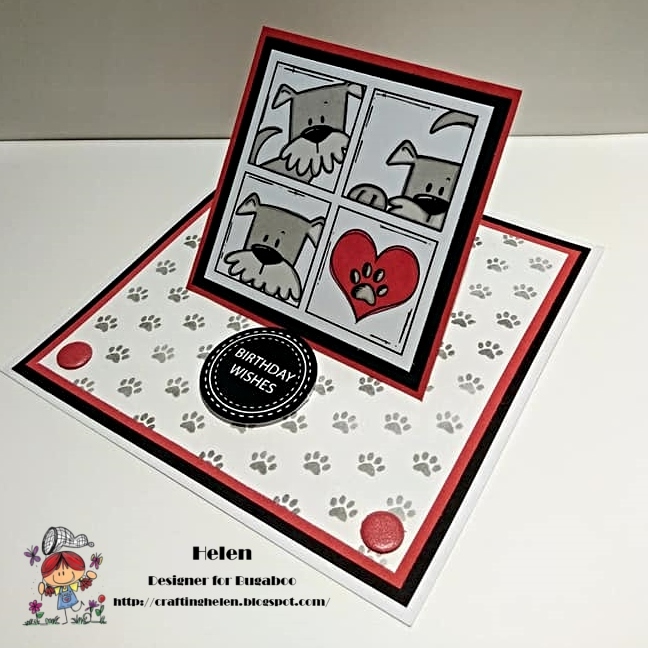 This is my first Fun Day Friday Challenge and you can find all the details and lots of inspiration here on the challenge blog. 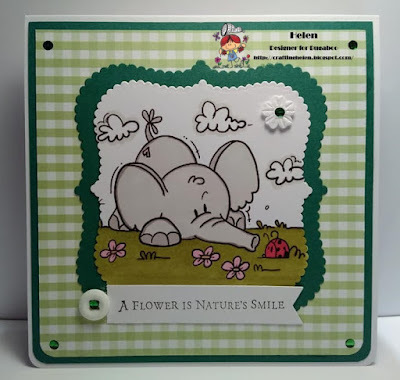 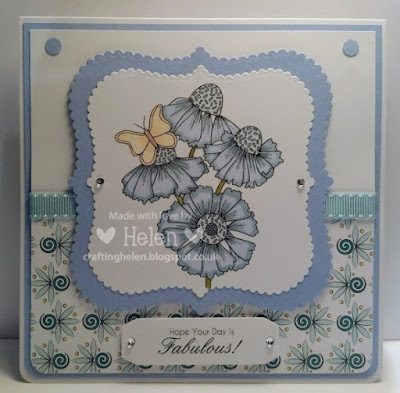 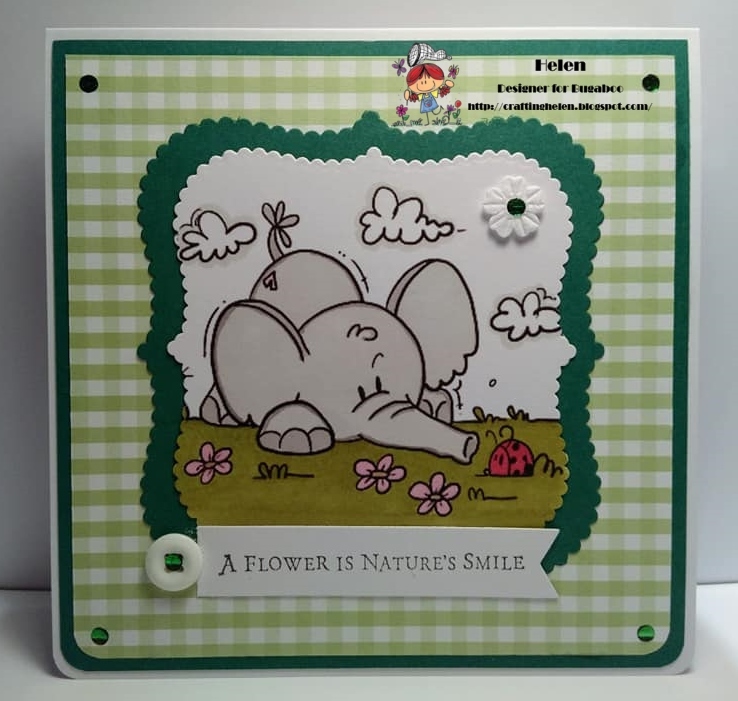 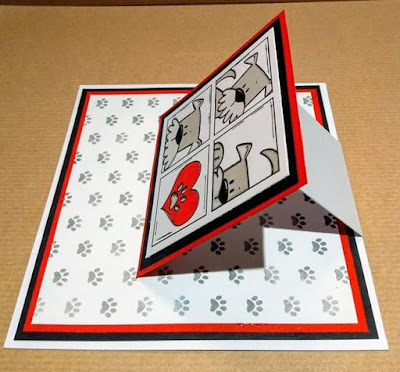 Today it's my turn to share a Wednesday Tutorial for Bugaboo Stamps and I've made a cut away easel card. 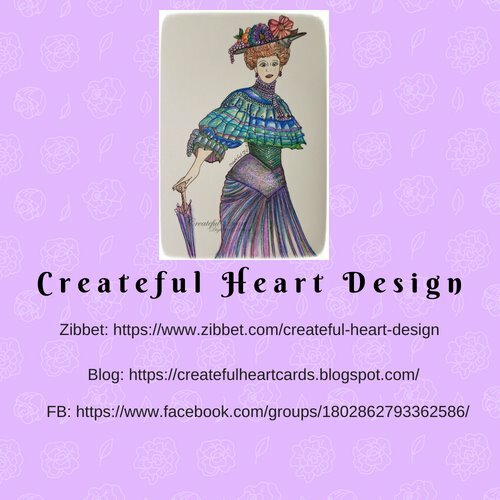 I've been making cards for many years and particularly enjoy stamping, working with digi stamps and colouring with Promarkers. 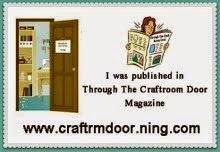 I am employed by Abbeyfield working with older people as an Activities Coordinator. 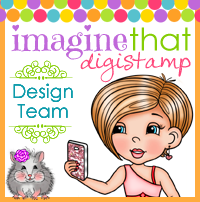 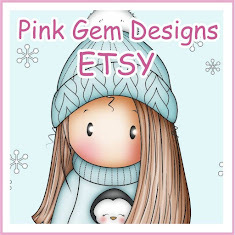 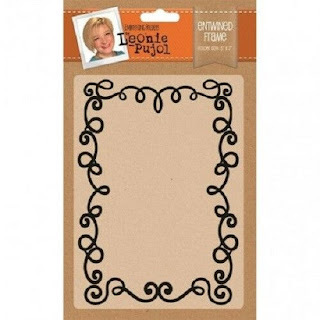 I'm lucky enough to design for Imagine That Digistamps, All Dressed Up, LeAnn's World 101, Cute n Crafty, Createful Heart Designs and Sheepski Designs. 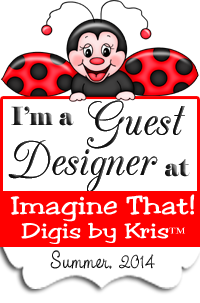 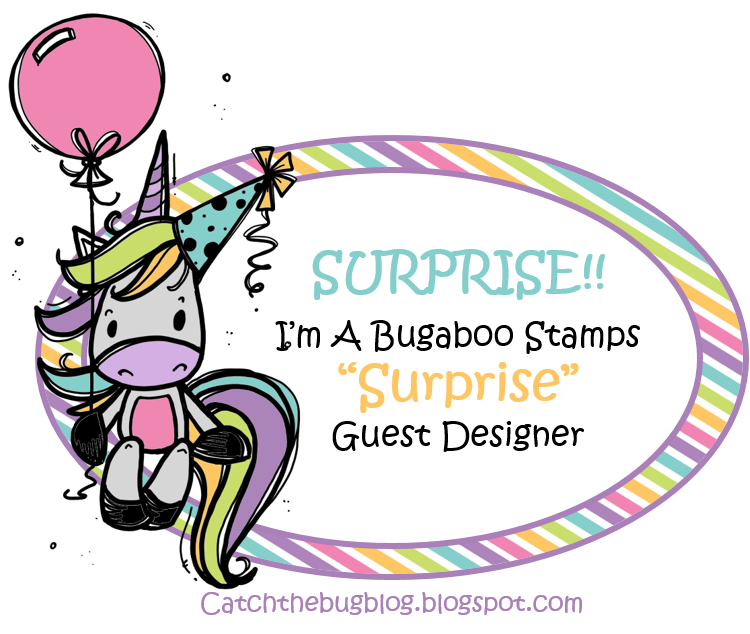 July and August 2014 - Summer Guest Designer for Imagine That!